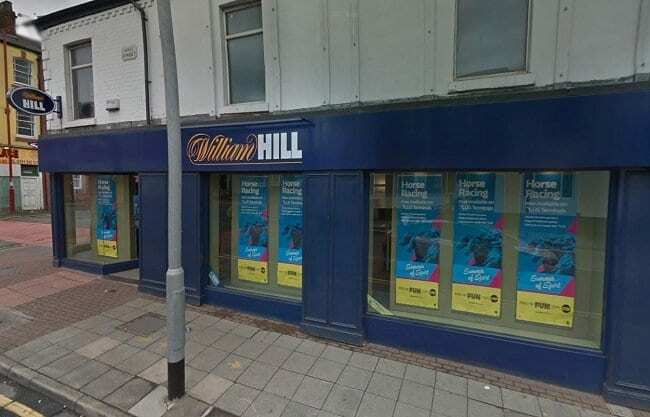 Here you can find information on the William Hill King Street Dunkinfield betting shop. There are details on the opening times as well as the location of the shop if you are planning a visit. Below you can see the exact location of this branch on the map. 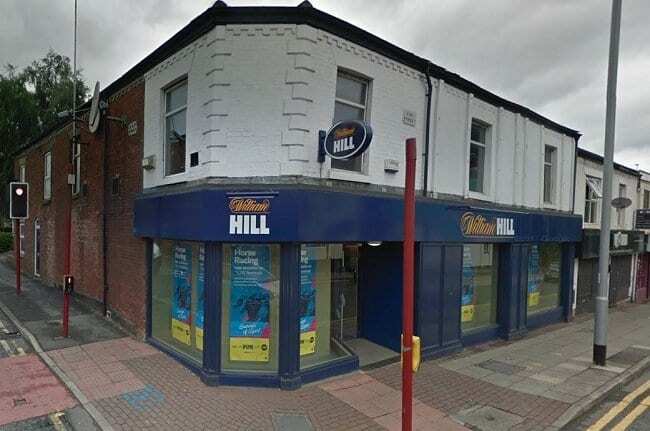 William Hill 117 King Street Dukinfield is open 7 days a week. Here you can see the full list of opening and closing times for this particular branch. 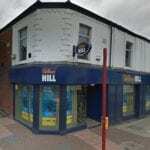 William Hill is a licensed Betting Shop located at 113-117 King Street in DUKINFIELD SK16 4NQ. 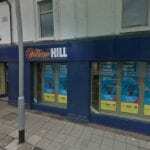 You can see a full list of shops from the same brand in the UK here. 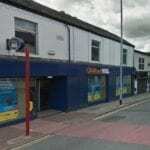 Dukinfield is a town in Tameside, Greater Manchester, England, on the south bank of the River Tame opposite Ashton-under-Lyne, 6.3 miles (10.1 km) east of Manchester. At the 2011 Census, it had a population of 19,306. 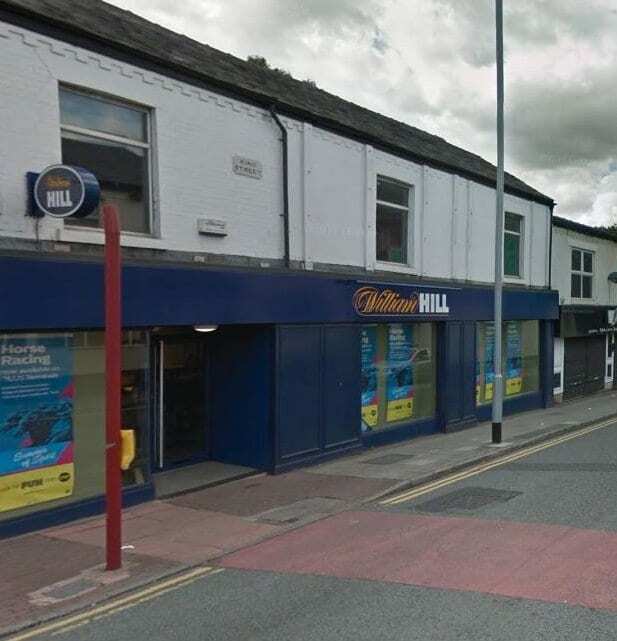 Historically part of Cheshire, the town developed as a result of the Industrial Revolution when it became the site of coal mining and cotton manufacturing. The earliest evidence of human activity around Dukinfield comes from a collection of four flints from the late Neolithic/early Bronze Age. The artefacts were discovered on the site of Dukinfield Hall and have been taken as evidence of a prehistoric settlement on the site. There is no further evidence of activity in the area until the Roman period. A 3rd century bronze Roman coin, from the reign of Emperor Tetricus I was discovered in the town. Dukinfield Cricket Club, founded in 1870, is a member of the Lancashire County League. For several seasons Paul Turner was the club’s “professional” player, leaving at the end of the 2005 season. He was replaced in 2006 by Andrew Gleave from Flowery Field Cricket Club, where he had been a leading amateur. The club’s main stalwart is Simon Collins who has won the league Championship and Hulme Trophy. In 2015 the club signed Marty Kain (New Zealand) and Chris Marrow (South Africa). Martin Vidler is the club’s youth coach. Dukinfield Rugby Union Football Club currently plays in the South Lancashire & Cheshire 2 League of the Northern Division. The club plays its home games at Blocksages Playing Fields and is one of the oldest rugby teams from the historic county of Cheshire, having been founded in 1880. During the late 1990s and early 2000s, Mike Ford was head coach gaining 2 league promotions in 3 seasons. He left Dukinfield RUFC for a brief spell at Oldham RUFC but then left to take over as Defensive coordinator of Ireland (January 2002 – September 2005). In September 2004 he started working as Defence and Skills coach at Saracens in the Guinness Premiership before taking over as head coach. He had a spell as the defence coach of the England national rugby union team and is now head coach at Aviva Premiership side Bath. Dukinfield Town AFC, founded in 1948, plays in the Bridgewater Office Supplies Manchester League and has a ground at Blocksage’s Playing Fields, Birch Lane, next to Dukinfield Rugby Club.